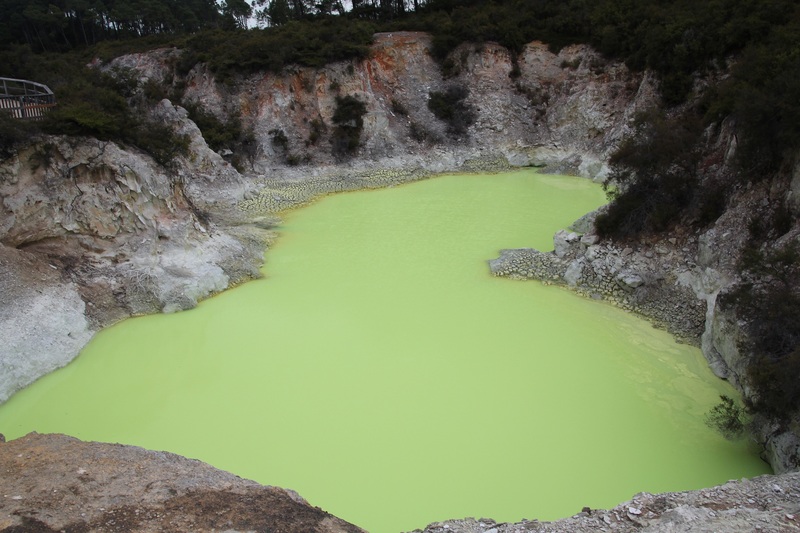 The rain slowed down towards the end of our week in Auckland, and then we headed north for a stay in Paihia. Paihia is the main town on the Bay of Islands, one of the places where Captain Cook made contact with the Maori people. 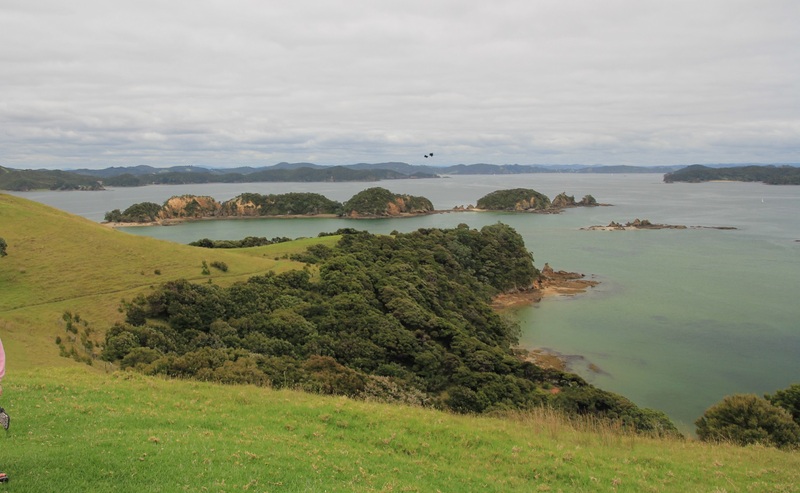 He is supposed to have counted 144 islands, which remains the official number, one of the larger of these islands is Urupukapuka where we spent a beautiful day walking, and then kayaking in the bay where the ferry arrives. 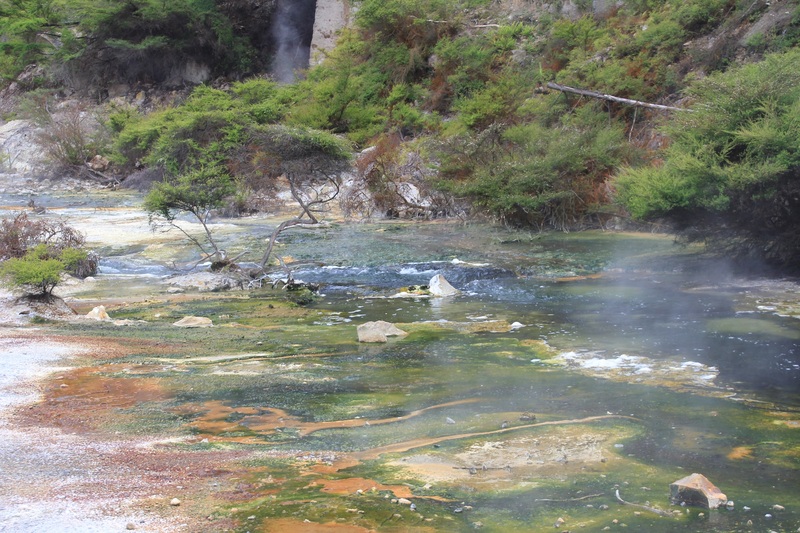 Towards the end of the second week we moved again to Rotorua, the centre of the North Island, where there is a lot of geothermal activity. 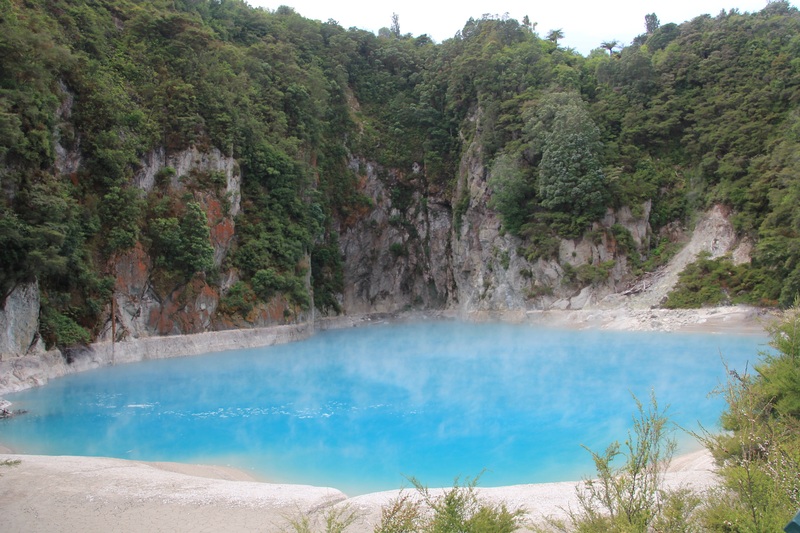 Also the centre of Maori culture. 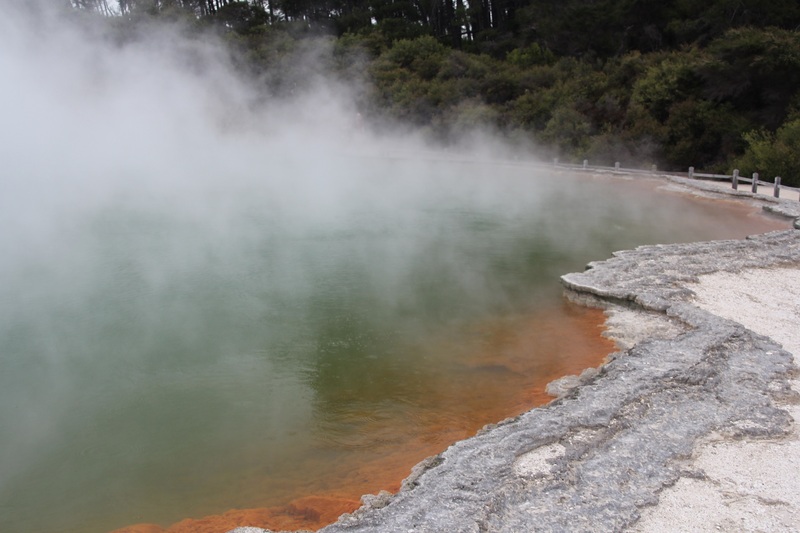 This small lake is called the Champagne Pool, the water is a light yellow colour and bubbles constantly, hence the name, but the red-orange deposits round the edge have a high antimony content, so not quite as nutritious as real champagne. 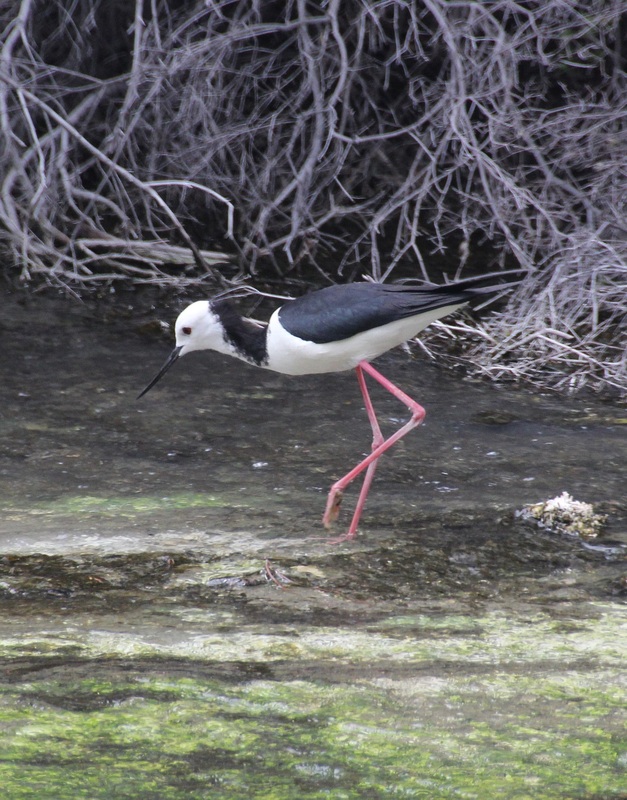 Many of New Zealand’s birds have been exterminated by introduced mammals, especially Possums, rats and stoats. 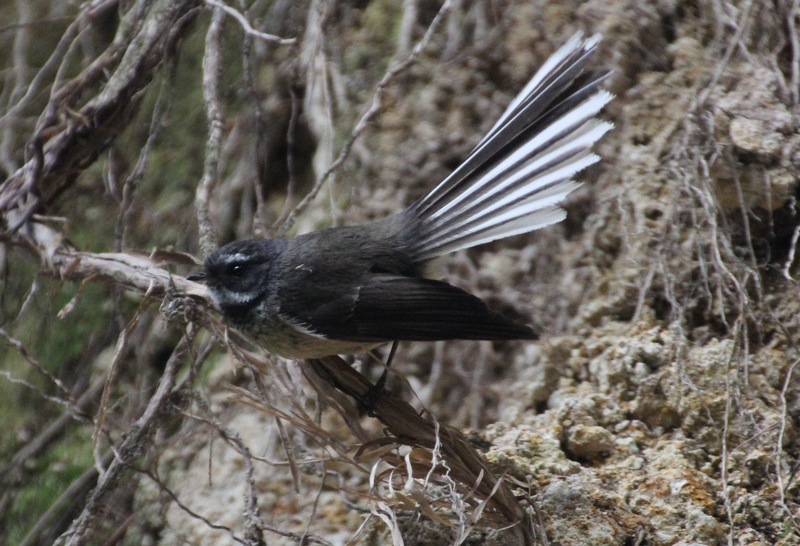 A few are still thriving like this fantail, also seen close to the geothermal area. This entry was posted in Not neonatology. Bookmark the permalink.